Want to see our vision for the future of purpose and fulfillment in senior living? We know time is the most valuable resource for caregiving managers, therefore FutureSense and Imperative have partnered to develop ValueSense™ - a set of tools, resources, and training to help caregiver leaders provide high touch management, with a low level of time commitment. Powered by the science of Imperative, but customized to meet the needs of caregivers - from senior living to acute care hospitals, ValueSense™ provides new solutions for the age old problems caregiving leaders and managers face. Relationships: I have meaningful relationships at work. Impact: My work makes an impact that matters to me. Growth: I am growing personally and professionally at work. are 125% more productive at work. A subscription to ValueSense™, allows managers to lead their staff through the individual fulfillment model to identify both individual and staff levels of fulfillment, and ensure drivers of fulfillment are built and sustained on their teams. 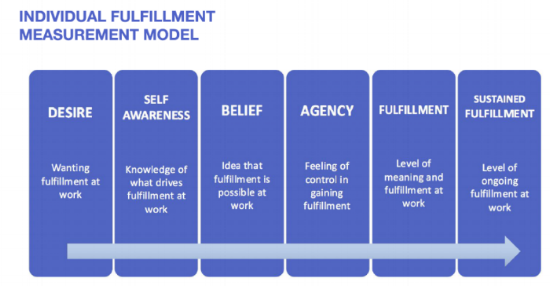 Assessment of RIG - ValueSense™ gives you a clear picture of what drives fulfillment for your staff and their current state of fulfillment through a staff RIG assessment. Access to Tools & Training - ValueSense™ offers flexible training options for leaders and access to understand the science behind purpose & fulfillment, as well as tools to help identify how to help build fulfillment for your staff. Action Planning for Sustained Fulfillment - ValueSense™ provides both leaders and staff with tools and resources to continuously monitor, create fulfillment action plans to ensure RIG is maintained. ValueSense is based on a subscription model.